Photos decorated homes for decades. However, these days, they're not such a common find. What happened? 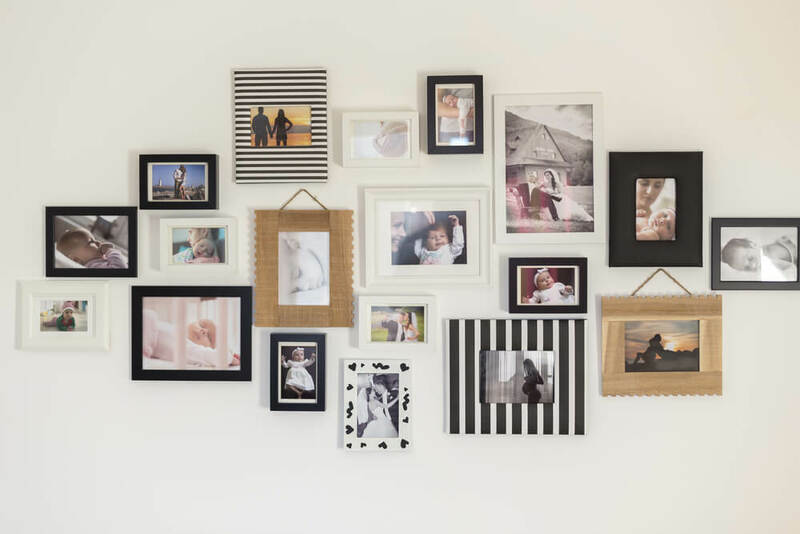 Traditionally, people used family photos in decor. However, fewer people are using pictures of their loved ones to decorate their homes. It’s interesting to see how society changes. The world of interior decor follows a similar trend: decor elements from one era become outdated while new ones emerge. However, some elements stop being used altogether because they become unsightly or outdated, irrelevant to the present. What can family photos do for decor? Family photos are professionally shot and are mounted into beautiful frames. Essentially, they’re a captured image of a family. And their purpose? Reminding us who those faces are. Family photos usually have a creative aspect to them. The subjects don’t just appear in any random way; instead, they’re posed, with beautiful scenery in the background or alongside other people. These photos are a way to timelessly express a memory. Family photos express a person who is significant and loved, a part of the home. Family photos are a trustworthy reflection of the past and present. Why don’t people use them anymore in decor? These days, family photos aren’t the first thing that people use to decorate their homes with. They seem outdated and less desirable. Why? It might be because people are looking for a more modern interior design for their homes. Let’s take a look at some possible explanations. People think that photos have an old-time feel. 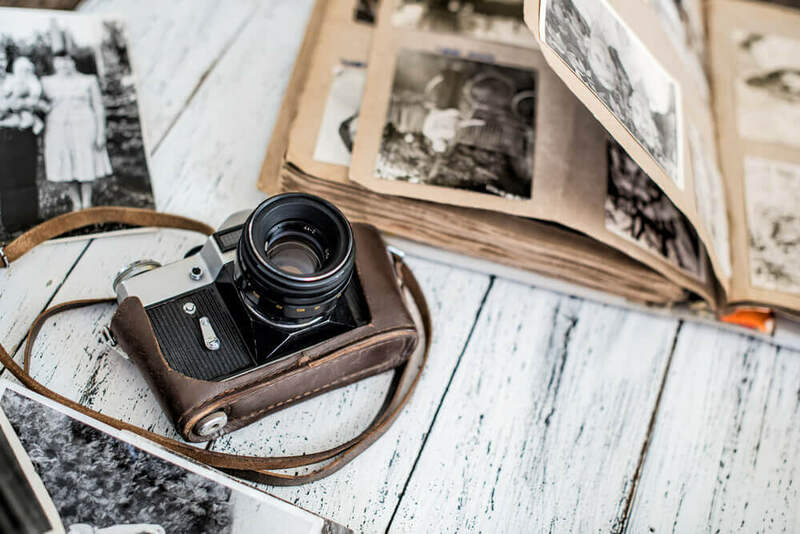 They associate them with a concept that comes from the first half of the 20th century: photos remember family members that have passed away and those that still live on. It’s a concept that’s fading in today’s world. 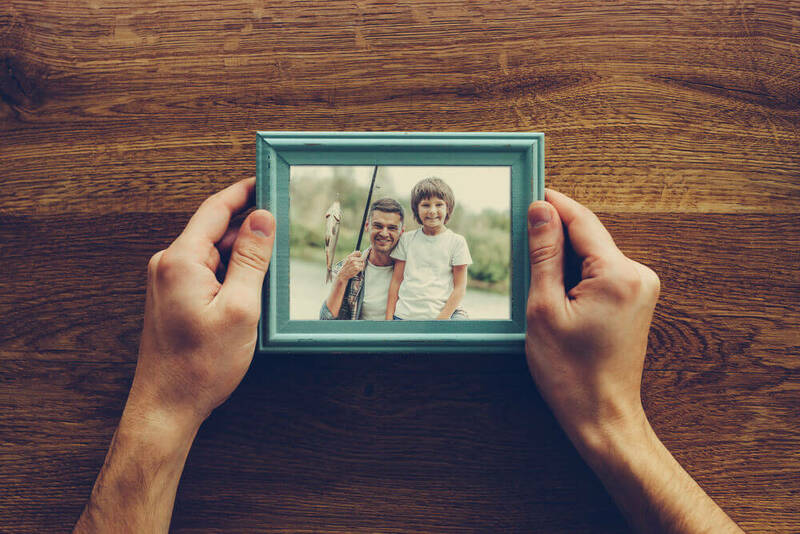 Technology has dramatically reduced the need for physical photographs, saving them digitally instead. Now, whenever we want to look at our photos, we don’t go to the living room or leaf through albums; it’s all though phones, computers, etc. On a different note, the living room and bedroom decor have changed. These days, simplifying is trendy; we use what we need and avoid accumulating items on our shelves. Like everything in this life, trends evolve and change. It’s not surprising that new options arise and offer different styles. People use family photos differently today. We can find them in new formats: printed onto pillows, wall decals, digital frames, etc. The world of interior decor has unearthed new ways to express memories. Of course, there are still people who hang up portraits or pictures in their living room, but they don’t really fill up their mantelpiece or nightstands like they used to anymore. New decor trends, like minimalism, clash with classical decor. New trends try to neutralize the setting, avoiding any specific theme. Simplicity. 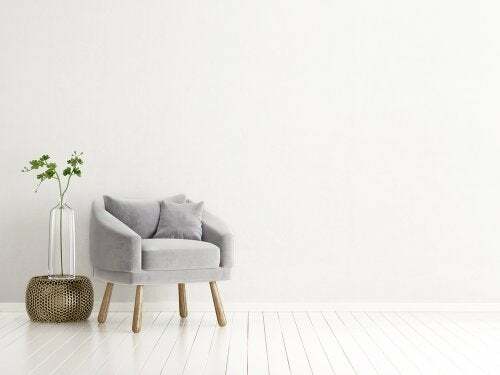 For both aesthetic and cleaning reasons, clear areas that aren’t overwhelmed with objects and decor is what people want these days. Don’t overwhelm your space. Be selective, even for portraits. Don’t fill up your shelves with photos as we used to in the past. Place them in visible areas. For example, frame a photo and hang it on the wall as if it were a painting. Or, use smaller pictures to decorate your shelves. Seek balance. 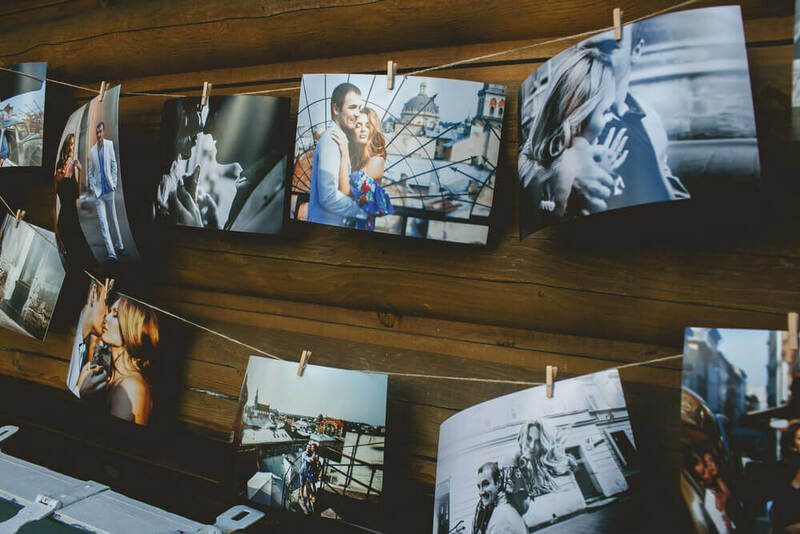 Try to avoid filling your entire space with photos; use them as anecdotal decor details.